Our weekly commentaries and updates will remain free until April 2019. Effective April 2019, a subscription will be required in order to receive them. Of course, clients of Fundamental Analytics and BlackSummit Financial Group will continue receiving our weekly content for free. US domestic crude oil prices are often influenced by global events. On Monday the International Monetary Fund reported an increased possibility of a global economic slowdown and reduced its 2019 global growth forecast to 3.5% from 3.7%. Also on Monday China reported the lowest annual economic growth in nearly 30 years. The annual economic growth rate of China was 6.6% in 2018. 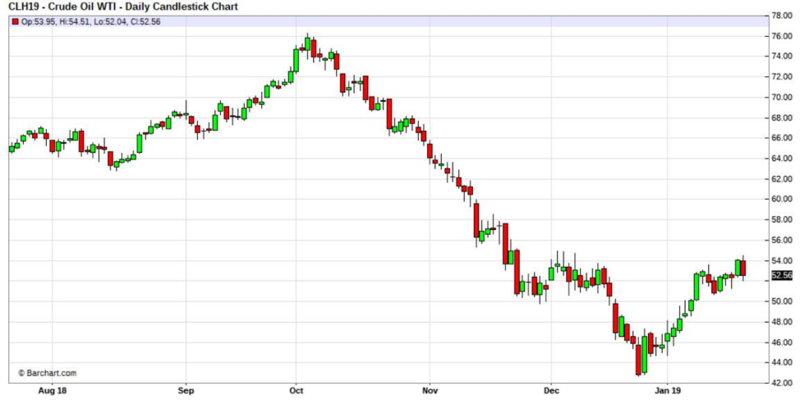 Crude oil prices dropped nearly 2% in reaction to the global news (Chart 1). In contrast US domestic natural gas prices are not affected by global economic events but rather by US domestic factors of supply/demand and weather. However, those factors are often not sufficient to explain natural gas price behavior. 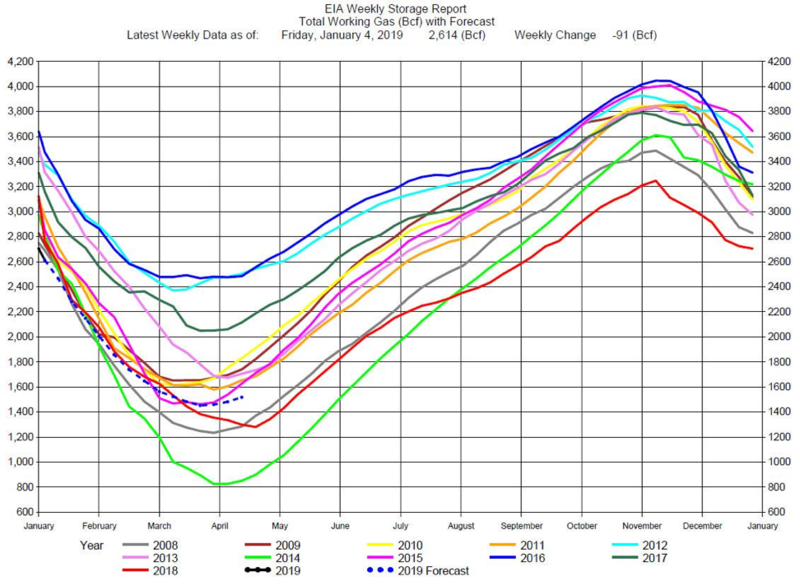 Last Friday prices were up in response to cold weather forecasts. Yet, when the cold weather materialized, prices dropped sharply on Tuesday, down over 12% (Chart 2). 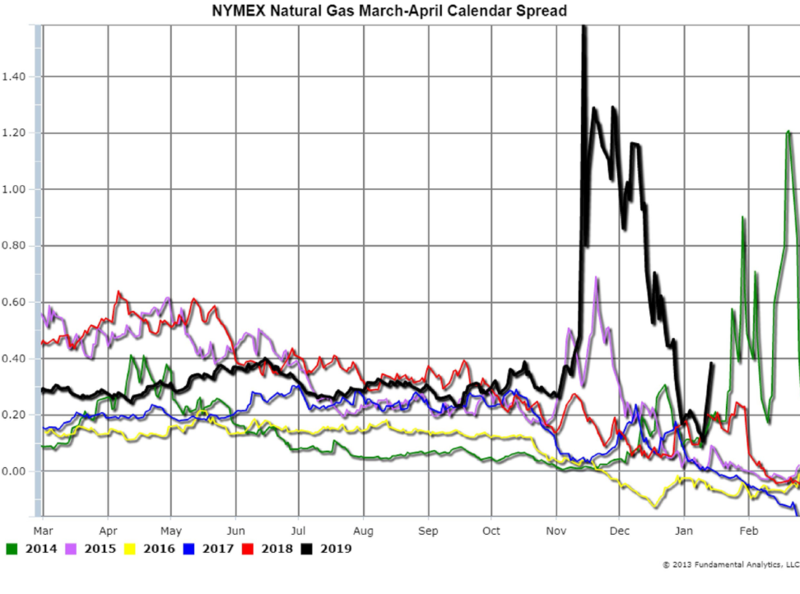 This price behavior illustrates the difficulty and risk of speculating in natural gas.